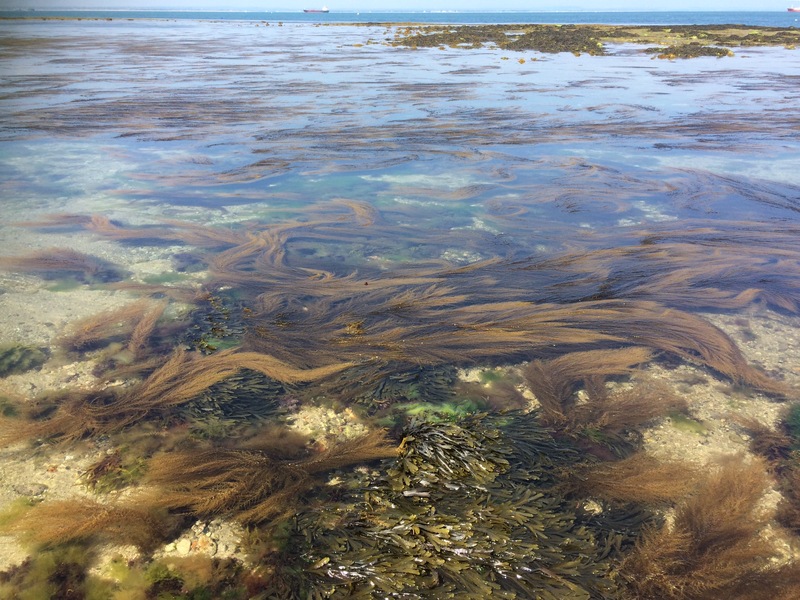 Find out how you could help add to our knowledge bank by taking part in the Big Seaweed Search from our marine ecologist Dylan Todd. The Big Seaweed Search is a citizen science project run by the Natural History Museum. It empowers people in Britain to contribute to monitoring the effects of environmental change on British sea life by exploring the seashore and recording the different types of living seaweed found there. Seaweeds can tell us a huge amount about what is going on in the seashore but tend to be less popular than birds or flowers so fewer people submit records. As a result, relatively little is known about the abundance and distribution of seaweeds in the UK shores and how these are changing over time. 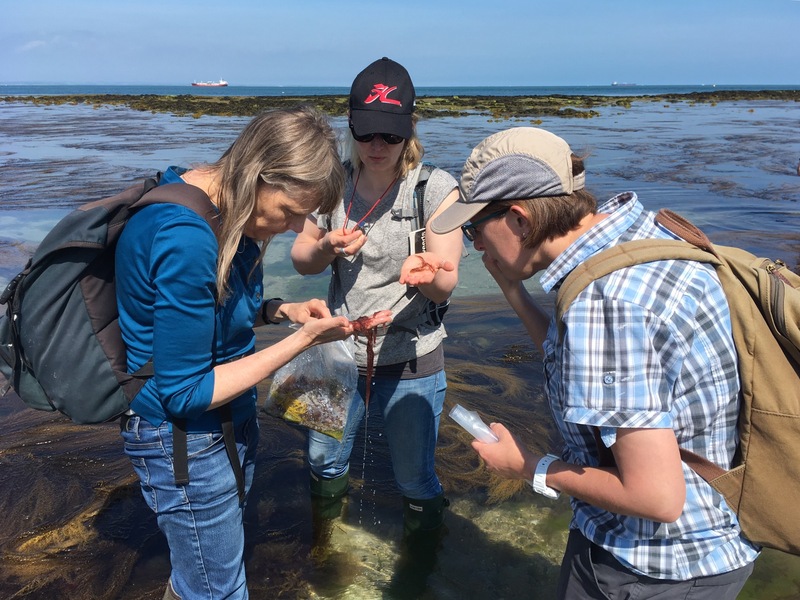 But the good news is that gathering data for the Big Seaweed Search is fun and relatively simple, and we would encourage others to take part this summer. 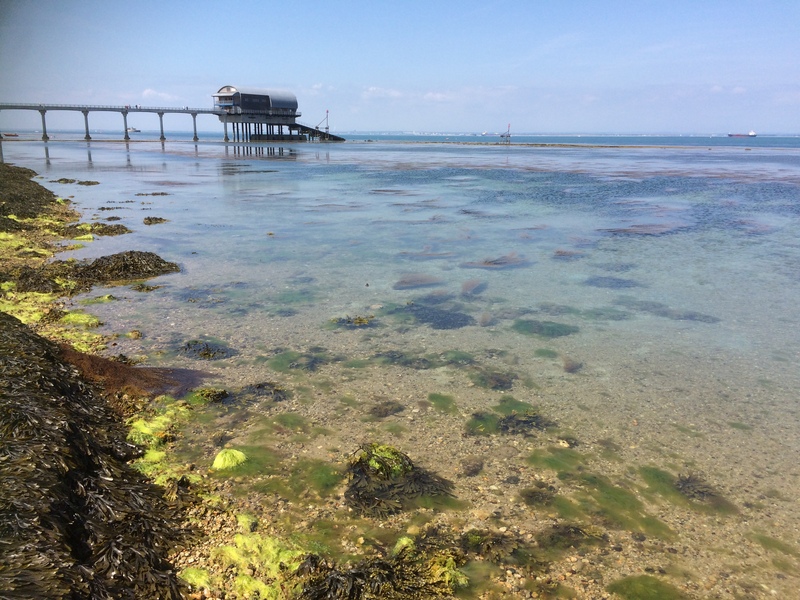 Back in May staff from Natural England’s Marine & Coastal Specialist Team travelled to the Isle of Wight to join forces with colleagues at the Natural History Museum’s algal herbarium to undertake The Big Seaweed Survey at the gloriously sunny Bembridge Ledges. Bembridge Ledges, at the eastern end of the Isle of Wight, has lots of different shoreline habitats with a rich algal flora including many rare species thought to be unique in Britain. The shore consists of a series of rocky ledges with intervening lagoons of sand and shingle. The rocky shore fauna includes many species right at the easterly limit of their range such as the Azorean limpet (Patella aspera) and the snake-locks anemone (Anemonia viridis). The shore was busy with people rock-pooling in the shadow of the impressive RNLI lifeboat station, as huge container vessels from all corners of the world queued up to delivered goods to the Port of Southampton via the Solent. The rock pools were bathwater-warm in contrast to the cool seawater showing just how many niches are available to marine life. Once the tide had gone out we began the Big Seaweed Survey next to the lifeboat station. We marked out a 5m wide channel running from the top of the shore down to the sea and took some photographs for the records. Starting from low tide the team spent the next hour moving up the shore, carefully exploring the entire area within the 5m transect, and making a note of the live seaweed abundance on the forms provided with Big Seaweed Search booklet. We photographed different seaweeds to identify them later once we’d uploaded the results. Surveys like The Big Seaweed Search enables us to work with researchers and the public to monitor and record the effects of environmental change to British sea life. This is a great way to help our understanding of the seashore while enjoying a fun day out on the beach. The Seaweed Search pack comes with full instructions, so don’t feel you need a scientific background to take part. Do take care with the tides, but most of all - have fun!